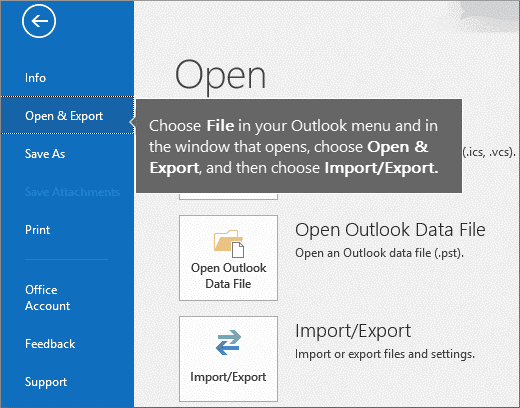 Select File menu in the Outlook app (Outlook 2013/2016). In the File menu, select Add Account. A new Auto Account Setup page will open wherein you need to enter your name, Gmail address and password and then choose Next. Now, click Finish. 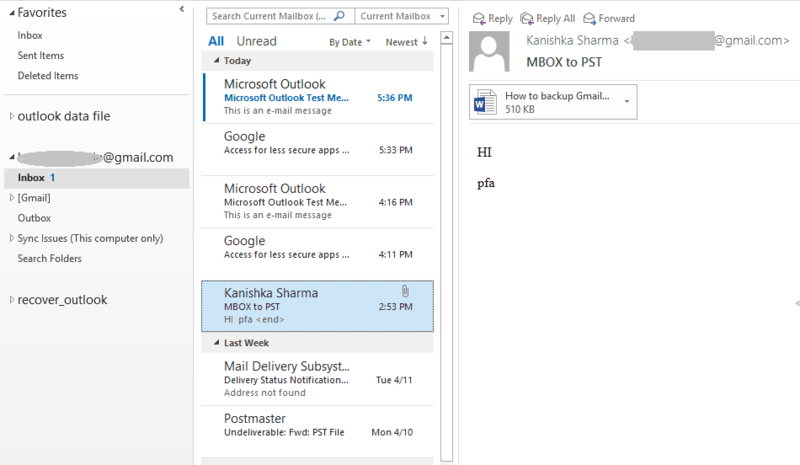 And you would see that Outlook got sync with your Gmail account. 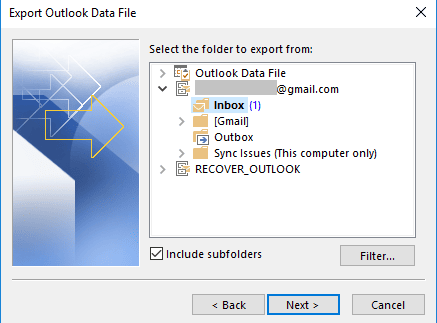 The emails in your Gmail account will appear in Outlook. 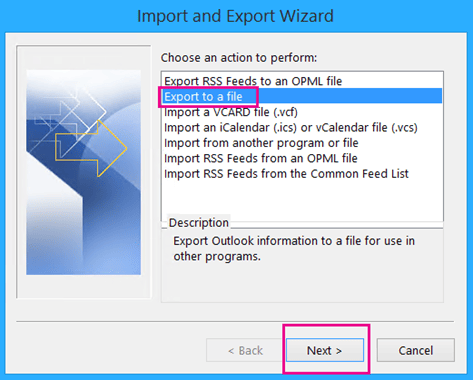 Now, Choose File menu and go to Open & Export > Import/Export. Now choose Export to a file and click Next. 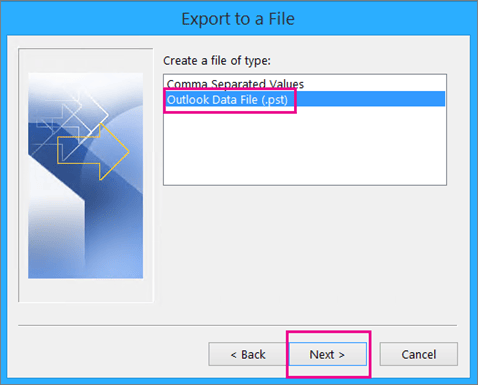 Now choose Outlook Data File (.pst), and then click Next. 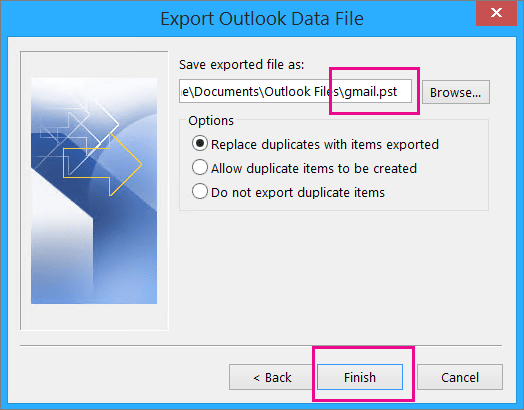 Now you have to select the account you want to export by choosing the name and Gmail address; also check Include subfolders to ensure ensures copying of complete data or mails. And then choose Next. Now Browse to select the saving location and to name the recovered PST file. And then select Finish. Login error: While filling your username and password, you may repeatedly be prompted for credentials. It happens when you enter wrong password, when you use a new computer for login, or when you are using Gmail after a long time. To fix this issue, you have to select Cancel till the prompt stops appearing. Also, you can use your old computer for the Add account process. 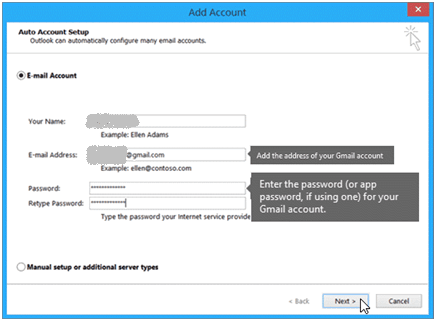 Security settings in Gmail: Sometimes, you may not able to access your Gmail messages in Outlook and get an error message saying “Your IMAP server wants to alert you to the following…” To fix this error, you can go to your Gmail account and ensure that Allow less security settings is set to ON and then follow the above steps to add the account.